Because I have decided to dorm my first year of college, I will be starting a segment on my blog called "Dorm Décor" where I share small components of the decorating and organizing planning process for my future abode. As I share about each topic – whether it be about my picks for desk lighting, my favorite storage tips, and even DIY projects – I hope you find inspiration for your small spaces, even if you're not dorm room-bound. For more dorm room inspiration, check out my Pinterest board. 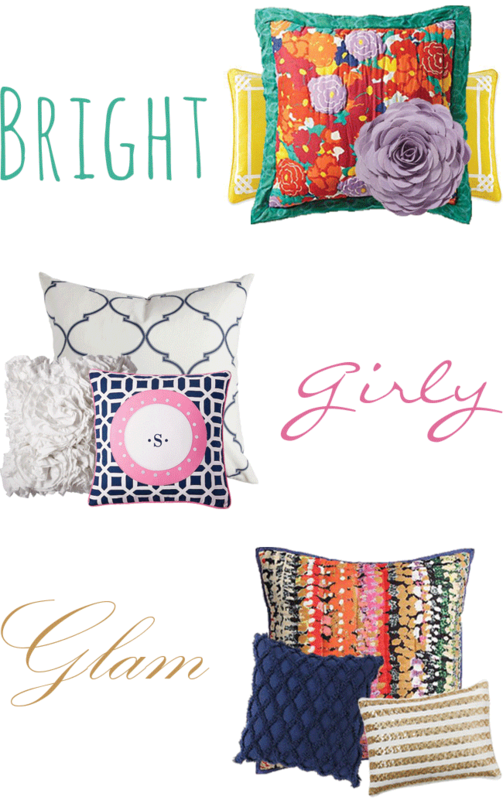 Amazing pillows, but look like really only a decor. If you want to have a good pillow, that's better to view memory foam pillow reviews, ratings and comparisons to choose the right one.